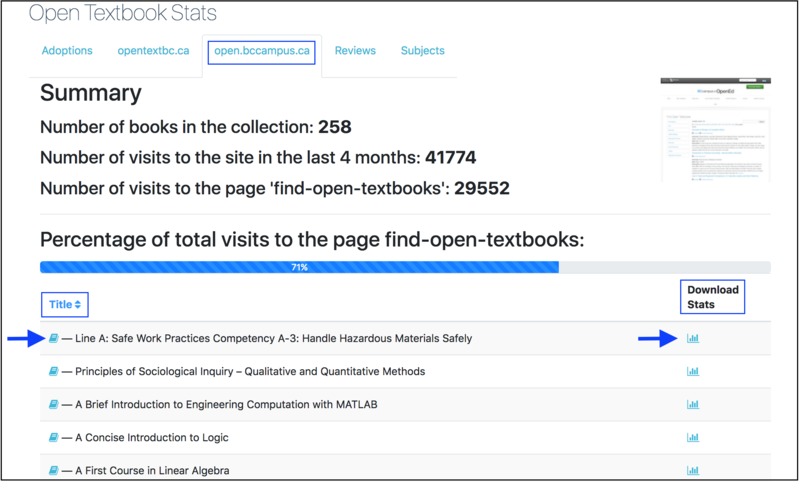 BCcampus Open Education provides statistics for each textbook hosted in the B.C. Open Textbook Collection under the “open.bccampus.ca” tab on the Open Textbook Stats page. A Download Stats button is provided for each book. There is also a link to the book in the collection to the left of each book title. 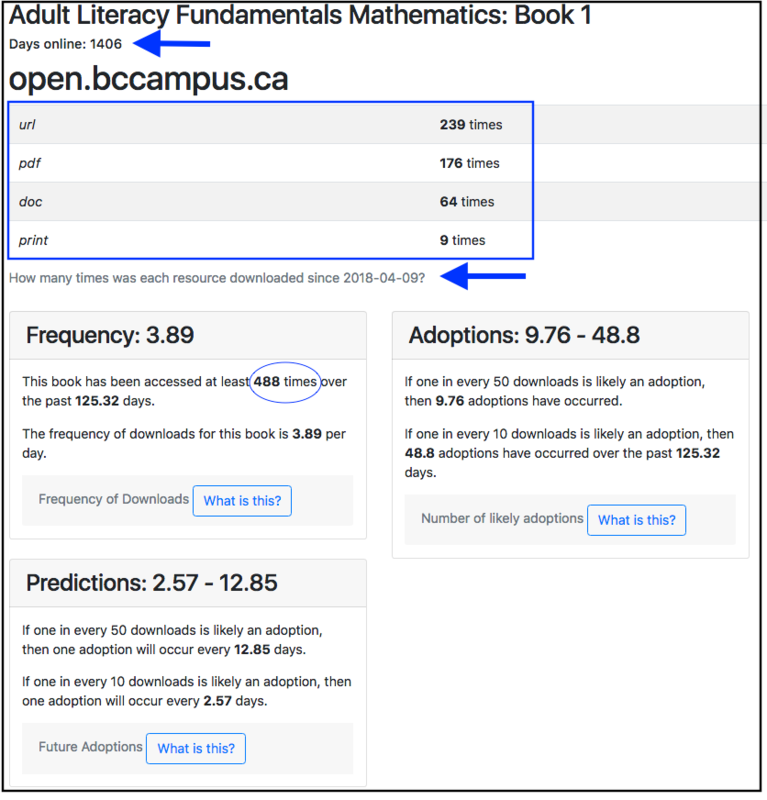 The number of times each version and file type has been accessed or downloaded through the B.C. Open Textbook collection (url = webbook). The total of all downloads is noted in the Frequency box. In the below example this number is 488. Statistics for Books in the B.C. Open Textbook Collection by Lauri M. Aesoph is licensed under a Creative Commons Attribution 4.0 International License, except where otherwise noted.